To educate veterinarians who are equipped with scientific understanding, have advanced research and problem solving skills, have cultural accumulation, environmental awareness, communication skills, have lifelong learning and self-advancing principles, and can think in peace with themselves and their environment. To carry out veterinary research and community service conforming to the ethical rules of the profession in universal standards; and to gain, produce, practice and spread knowledge by shedding light on developments in animal health, behaviors, welfare, production, breeding, nutrition, and animal rehabilitation which are indispensable elements of humanity and nature. To make diagnosis, treatment and preventive medicine applications of all diseases that threaten animal health including zoonotic diseases; to protect the public health; to contribute to the development of animal husbandry by controlling the animal sources of food. To ensure that all of our students receive education and training on a balanced and equal basis; to increase the number of patented studies by encouraging all academicians working in the veterinary faculty to work and produce on national and international scientific platforms by providing free working environments; to further qualify the veterinary faculties at the international level by further improving the physical conditions of the faculty; to provide not only our students, but also the people of the region with the right information about animal feeding, care, and love; to protect animal health; to provide the diagnosis, treatment, and control of these diseases; to implement professional and ethical rules; to respect animal rights; to establish honest, caring, and warm relationships with animal owners; to research ways of accessing information; to grasp the importance of lifelong self-learning. 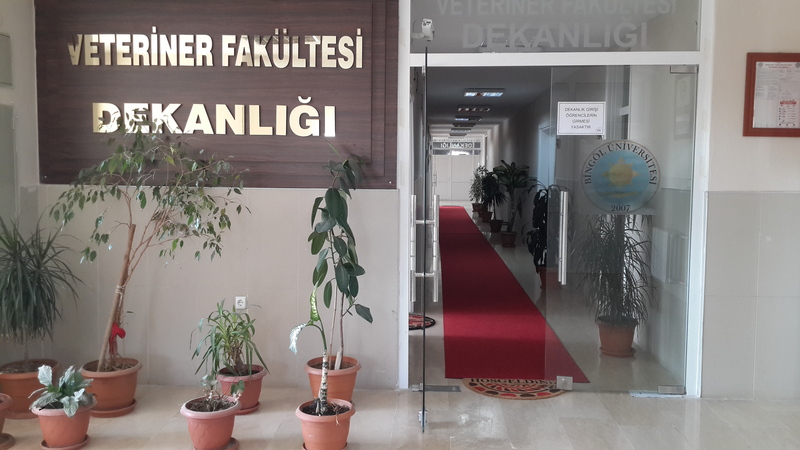 To ensure that our students are trained as qualified and respected veterinarians who foresee the problems of animal health, welfare, and animal rights, produce solutions, and obey deontological and ethical rules. To be a faculty that is engaged in scientific research in the field, produces information, exemplified nationally and internationally, and is honored to be a member.